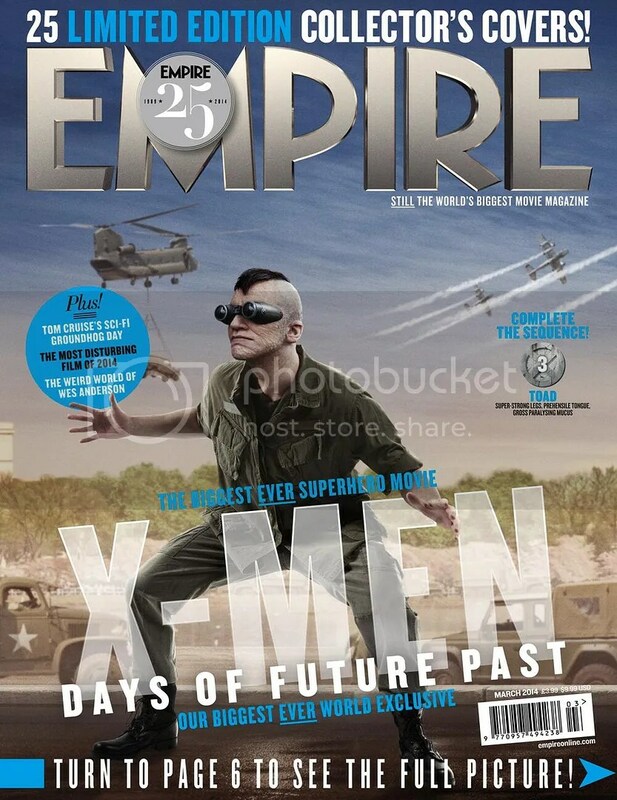 I’m not the first person on the Internet to say this, and I won’t be the last, but Quicksilver from this year’s X-Men: Days of Future Past movie looks like a huuuuge dork! He looks like the kind of guy who whines to Magneto whenever he calls him ‘Pietro’. And I can just picture actor Evan Peters whining like that. This movie just took a big hit in credibility. I like the theory floating around the web that director Bryan Singer is purposefully trying to tank the character so that nobody takes him seriously when he shows up in The Avengers: Age of Ultron, where he’s probably going to be treated with much, much more respect. That sounds to me like exactly the sort of jerk move FOX would pull. They’re the ones who quickly found a way to squeeze Quicksilver into their X-Men movie after Joss Whedon announced he was using him for the Avengers sequel. At least most of the other characters look good. Join me after the jump to see some of my favorites. Here we’ve got Iceman, easily my favorite character in the franchise. An awesome looking Blink. They really went all-out to get her look right. She probably has a 3 second cameo. And oddly enough, Toad, who’s going to get an appearance in this film. I think that’s kind of neat. I’m a Toad fan, so it’ll be cool to see what the movie does about creating the Magneto/Toad partnership. Though I am a little concerned that there are too many characters in this film. I’m also ‘concerned’ that they didn’t bring back Multiple Man. What’s up with that? Must I go this entire franchise with my favorite character getting only a two-line cameo in the worst film? 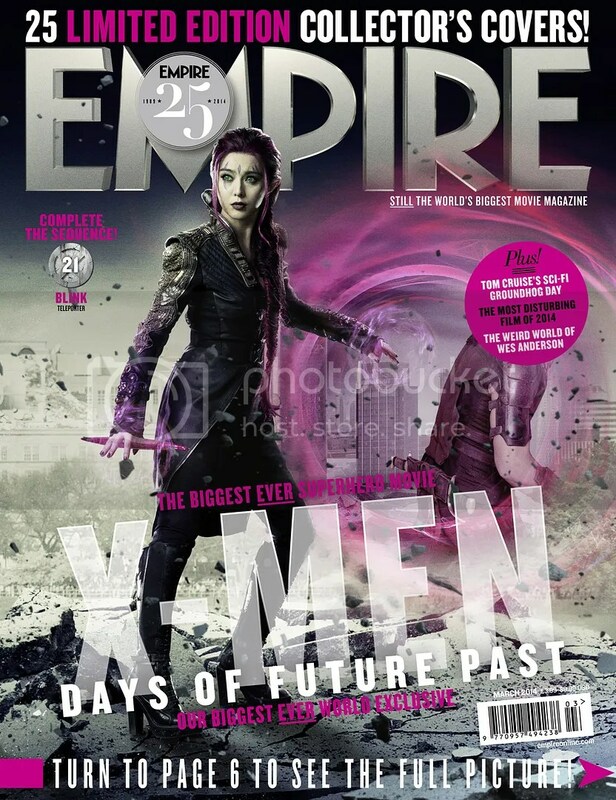 Check out all the character covers at Empire. Posted on January 28, 2014, in Marvel, Movies, X-Men and tagged Blink, Iceman, Quicksilver, Toad, X-Men: Days of Future Past. Bookmark the permalink. 7 Comments. He looks more like those Korean Pop Stars. I HATE THE HAIR. I don’t mind the color since his name is QuickSILVER, but part of Pietro’s look is his hair. The short and spiked up hair. That’s the look. 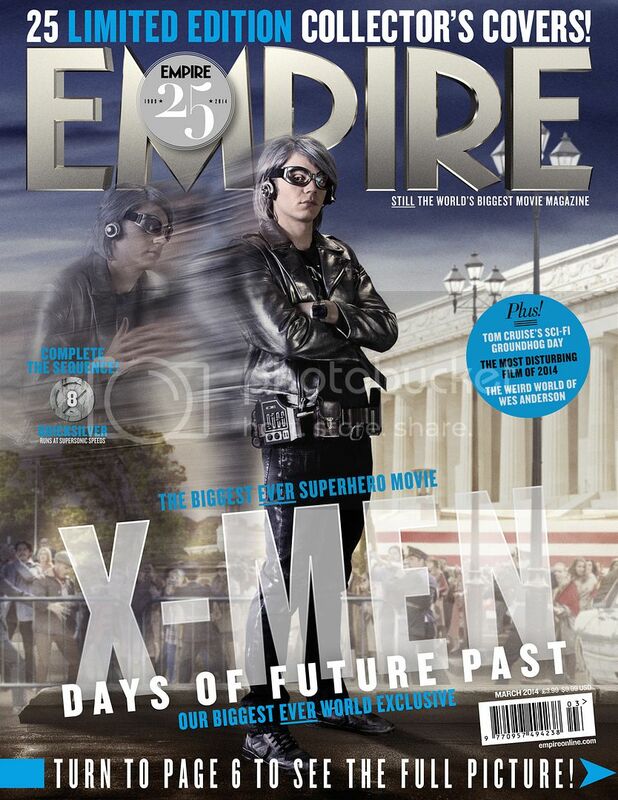 Thankfully Marvel Studios still have a chance at giving us a proper Quicksilver look. I just don’t understand why FOX/Singer decide to tamper with the look when they have rights to him? 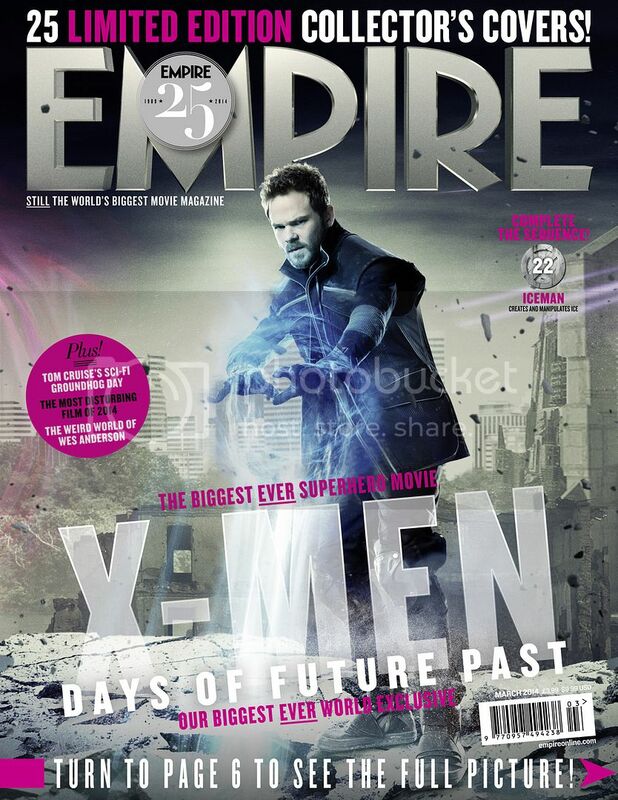 I’m gonna stick by my theory that FOX and Singer are trying to punk Whedon and Marvel. They’re going to turn Quicksilver into the worst sort of person, so that people are pre-disposed to hate him when Avengers 2 comes out. I… I can’t… why? I don’t understand why they would make him look so utterly and completely stupid. He doesn’t even look anything like Quicksilver. He’s from the past, so apparently it’s some kind of 70s style? I guess? 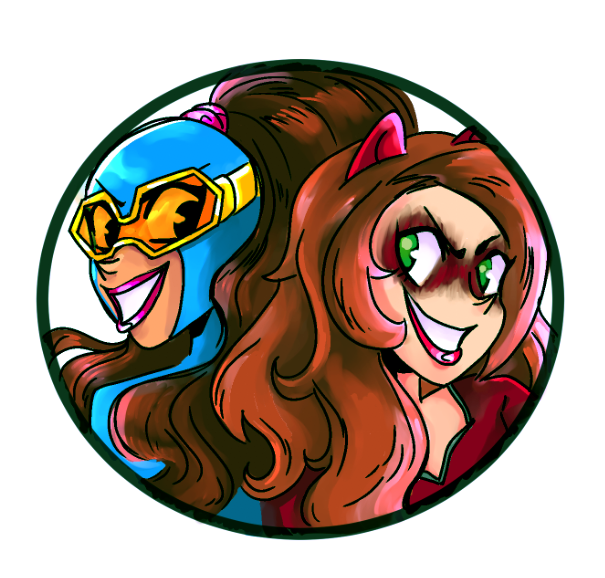 I wasn’t expecting sky blue tights and a lightning bolt, but that look they went with is totally terrible. Hopefully he’s only in the movie briefly. That’s what I’ve been hearing. He gets a few tiny scenes. I don’t even think he’s going to be referred to as Magneto’s son.